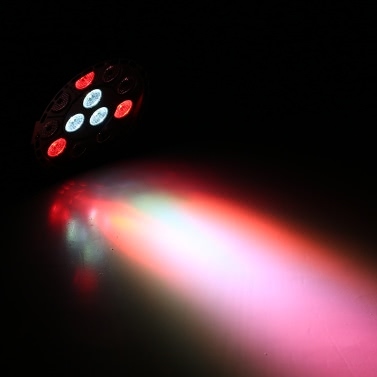 12pcs high-power LED to provide different effect lighting. 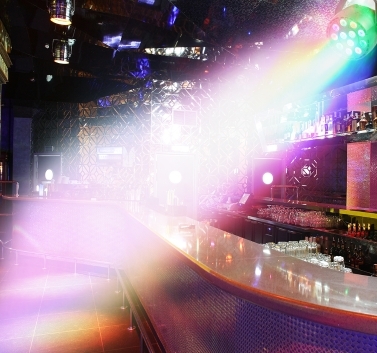 With multi-function flash effects and rainbow function. 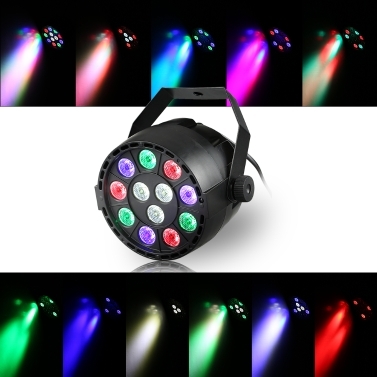 It can give you a fantastic visual impact and help you enjoy your party and stages. Easy to install, two-handle design can be a good way to adjust the angle, and can be hung on the truss, installed on the wall or on the ground. 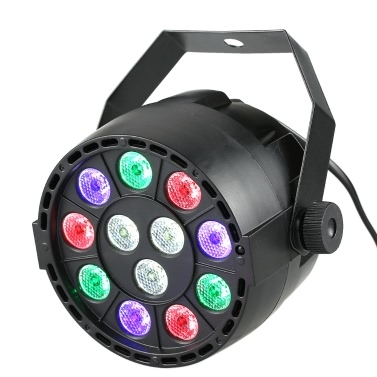 Compact size and eye-catching RGBW par light with multiple functions. Easy to carry and simple to operate, easy setup by adjustable bracket. 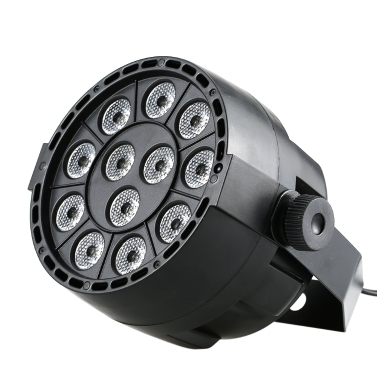 Made of engineering plastic shell, light weight, durable. Very bright and powerful, but low consumption. Unique design, simple and beautiful. 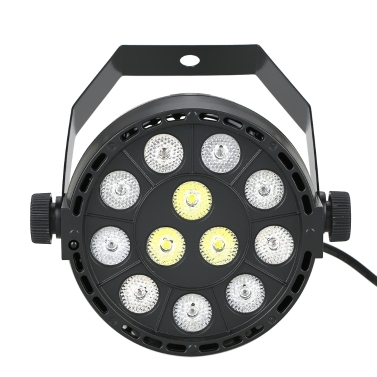 Light stability with long life performance. 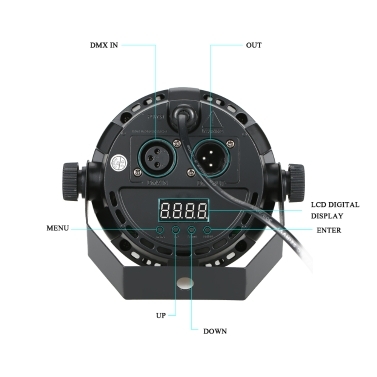 Support voice-activated / auto / DMX / master-slave / remote control modes. Create static color, jump, gradual, strobe and scrolling lighting effect with changing speed adjustable.